Several years ago when I worked for Baldwin Piano Company I learned a lot about the various ways that other companies used to market their pianos and how they used their leverages to sell their products. That’s when I first began to compete with Pearl River Pianos. At that time, which was about 8 or 10 years ago, I began to see their products on the floor of dealerships more and more and I realized that they really were a force to be reckoned with. Of course, we would use the fact that our pianos were made in America and try to encourage people to look at Baldwin Pianos rather than Pearl River Pianos, obviously because we wanted to make the sale rather than our competitor. It wasn’t until the NAMM show of 2007 that I learned first hand that this is truly a piano to pay attention to. As a Baldwin only dealership at the time, I hired two professional piano technicians to review the Pearl River Piano for me. I wanted an unbiased opinion on this product before I agreed to carry it in my store in San Diego. They both independent of each other came back to me with almost exactly the same results. 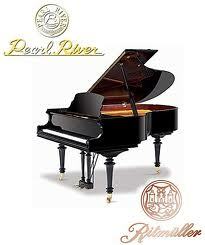 In every category Pearl River Pianos outperformed our expectations. The deal was sealed and I became a Pearl River Piano dealer even to the point of selling out Baldwin and replacing them with Pearl River. In 2009 I had the opportunity to review their Rittmuller Piano which is a hybrid of European parts and Chinese manufacturing. What I learned from this experience changed my opinion permanently. 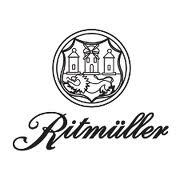 The Rittmuller piano is an incredible piano and again outperforms my expectations as well. With all of that being said, this morning I received a note that really sealed my belief in Pear River Pianos. In todays Music Trades magazine there was an a news brief outlining Pearl River’s IPO in China. Unlike Facebook, the stocks on the Shenzhen Stock Exchange sold over 48 million shares which raised more than $103,000,000.00 (yes that’s 103 Million with an M). Quite impressive and another statement that underlines my belief in Pearl River. I think that in the coming months we will see many great things from Pearl River and I for one am looking forward to it. If you have the opportunity to play, demonstrate or review a Pearl River Piano or Rittmuller Piano, trust me and take the time to do it. Sure the name on the front does not start with a “Y” or and “S” but, I have no doubt that you will like the tone, texture and touch of this piano. My hat is off to Pearl River Piano Group for a successful IPO and my best wishes to their continued success. When you have a chance drop by http://PianoSD.com and see what’s new. 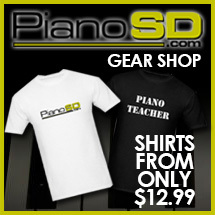 Also, check out the Gear Shop and find something for yourself.